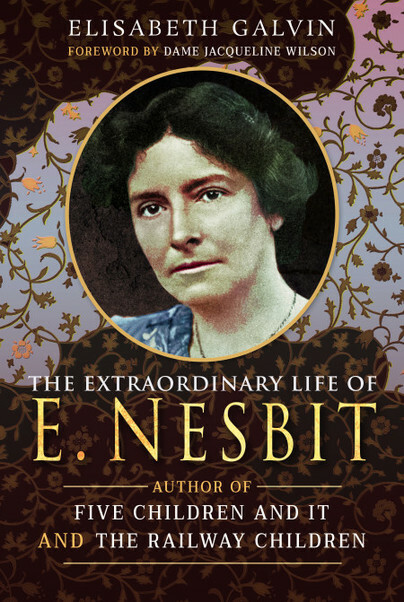 You'll be £19.99 closer to your next £10.00 credit when you purchase The Extraordinary Life of E Nesbit. What's this? Imagine being one of the most well-loved children’s authors of all time, yet your readers don’t know if you’re a man or a woman. Or even your real name. E. Nesbit is really Edith Nesbit, who wrote more than 100 novels, plays and poetry collections for children and adults between 1885 and 1923. This year marks the 160th anniversary of her birth and this new biography reveals how Nesbit's colourful private life influenced her writing, from a love affair with George Bernard Shaw to the bohemian parties with H.G. Wells to the death of her son aged just fifteen. With a foreword by best-selling author Dame Jacqueline Wilson, the book shows how J.K Rowling was influenced by Nesbit and includes interviews with Jenny Agutter and Bernard Cribbins,, who appeared in the beloved 1970 film of The Railway Children. A detailed account of an author whose life was full of drama, trauma, true friends, love and betrayal; but who used all of these personal elements to her to create wonderful stories. A good insight into a complicated woman's character who was a true Bohemian to her last days. ⭐⭐⭐⭐⭐ So much lies beyond The Railway Children. This is a fascinating insight into the life of the amazing woman we all know as the writer of The Railway Children. I wonder how many even know that E. Nesbit was Edith Nesbit, well, I knew that much but the whole story amazed me, even shocked me in places. To think that The Railway Children was published over 100 years ago and the film versions and stage adaptations have been so successful that hardly anyone of any age does not know the story or the name of the writer, yet E. Nesbit died close to poverty following a life of so many ups and downs and her grave is marked by a simple wooden structure. She was one of the founders of the Fabian Society her son Fabian was actually named after the society. The Railway Children has overshadowed the life of this complex woman but Elisabeth Galvin has meticulously researched her life to provide one of the best literary biographies for some time. Elisabeth Galvin gives a lively account of a wild bohemian who smoked cigars, had plenty of affiars, cycled around London and founded the Fabian Society. At every opportunity when she was a child, ELISABETH GALVIN would jump on her mother’s lap to ask for a story. One of these books was The Railway Children, which began her lifelong love of literature. After studying English and Classics at Durham University, she became a magazine journalist in London, Australia and Hong Kong. A keen open-water swimmer, Elisabeth recited passages by Jane Austen and the Brontës to herself as she swam across the English Channel to France in 2002 (it took her 10 hours 51 minutes so that’s quite a lot of romantic literature).